Why attend a wedding fayre or/and Bridal showcase? Many wedding venues will very likely organise a wedding fayre / bridal showcase or maybe even an open day once a year at their location. The question is what’s the difference between them and why should you attend? Having flicked through bridal magazines and created your own Pinterest board it’s now time to put these ideas into action. 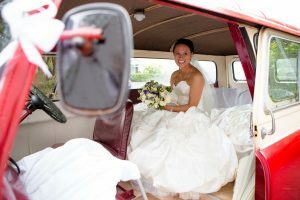 A wedding fayre implies that there’ll be local wedding services and suppliers on hand at the venue. A perfect opportunity to discuss your ideas and vision with experts from the local area who very likely know the venue and will be able to deliver and set-up for you. These are experts in their fields and have a wealth of knowledge and talent that can help you create your special day. Your wedding co-ordinator from the venue can point you in the right direction for reliable and well-regarded wedding services and suppliers. At a bridal showcase you should expect to see a fashion show or catwalk of bridal dresses, and possibly bridesmaids, groomsmen and even mother of the bride outfits. At TyGlyn’s bridal showcase in September 2018 the catwalk will take place around 12noon and will be featuring Chez Louise Bridal. These events can be useful for you to see what the dresses look like in real life rather than the glamorous glossy images seen in professional photo’s. Bridal shops require pre-booking for fittings and if you have an idea of things you do (or don’t) like, it allows the shop assistant to choose appropriate dresses. Providing you a positive experience is their aim. An open day is more about the venue and far less about the services and suppliers of others. Expect to see tables laid-up as if ready for a wedding party, and possibly even the civil ceremony room dressed. Occasionally you may get a venue dresser who would showcase their skills with various adornments, table centres and decorations. A perfect opportunity to visualise how your day could look, especially if the venue is a little unusual or not run-of-the-mill. Be wary though! 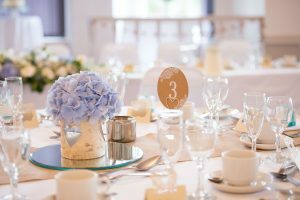 If you’re expecting to talk to wedding suppliers you will be disappointed, as this is not about them – it’s about the venue. Chez Louise Bridal will be showcasing her dresses with a catwalk at around midday – so please be earlier to avoid missing out. 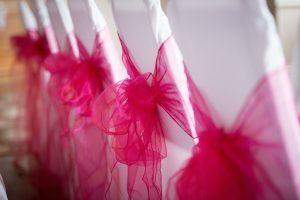 As always, our wedding fayres are FREE, with a glass of fizz for the bride to be, and goody bags. Great post I have read and enjoy this fayre wedding’s moment thanks for the times brings.